Most students at MTHS know about the pink triangles, but do they actually know what Day of Silence is all about? And what exactly is this day for? Well, in 1996, Maria Pulzetti created this day of silence, and students attending the University of Virginia organized it and held it. “I wanted to do something for BGLAD (Bisexuals, Gays, Lesbians, and Allies for Diversity) week that would impact many people at the school and that would be very visible… I knew that if we held panel discussions and events like that, the only people who would come would be the people who already were fairly aware.” Pulzetti explained. In 1997, Day of Silence went national with around 100 colleges and universities participating in the event. In 2001, GLSEN (Gay, Lesbian, and Straight Education Network) became the official organizer of this event. Since then, over 10,000 students register their Day of Silence participation every year. Why is Day of Silence important? Day of Silence is important because nearly 4 in 5 LGBTQ+ students don’t see positive LGBTQ+ representation in their curriculum, nearly 9 in 10 experience verbal harassment, and almost a third miss school for feeling unsafe or uncomfortable. 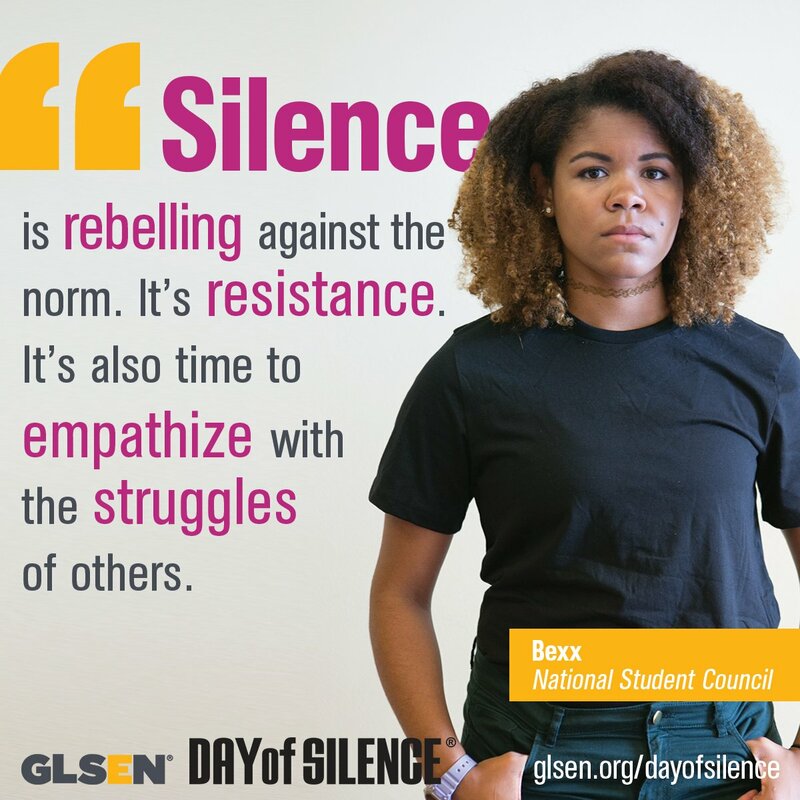 The Day of Silence is a national movement to highlight the silencing and erasure of LGBTQ+ students in school, which demands that school leaders take action to be more inclusive. With Day of Silence, students are encouraged to wear a pink triangle and stay silent to show how many voices of the LGBTQ+ community are outspoken and/or silenced due to bullying and harassment. How can you show support? You can show support by wearing one of the pink triangles that are going to be handed out by the main doors on Friday morning. By wearing these, you are showing that you are going to be silent until the school day ends. To learn more about this important day in LGBTQ+ history, visit Mrs.Widrig’s room (266) after school on April 27th. GSA will be meeting and having a discussion on this day’s events and new/upcoming events. You do not have to be LGBTQ+ to attend, Straight Allies are welcome!